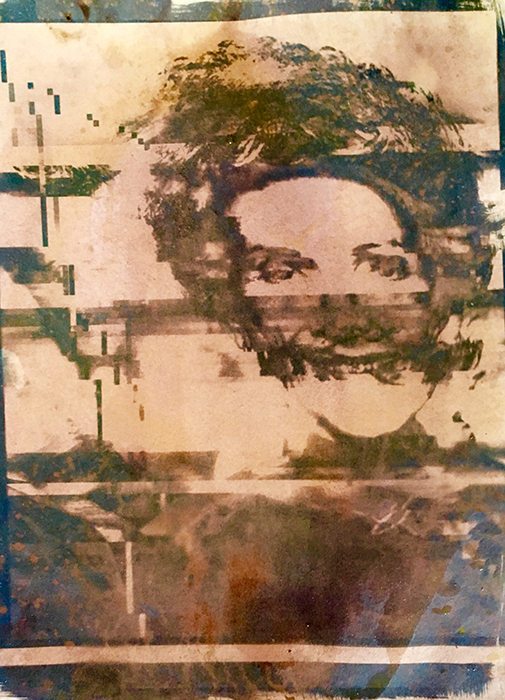 Photographic printing process technique, using old photos, often glitched or cut up. Color variations are achieved through various toning techniques. On watercolor paper and fabric.